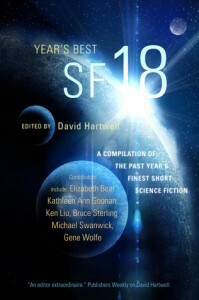 Year’s Best SF 18, containing science fiction stories published in 2012, will be released on December 10 (hardcover, trade paperback, ebook). The only cover image I could find is not accurate since it lists an author who does not actually have a story in this book (my copy says “Pat Cadigan” where the image says “Elizabeth Bear”). 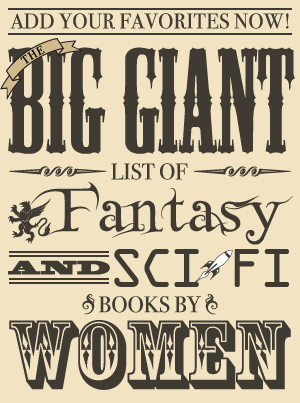 Other authors with stories in this book include Megan Lindholm, Paul Cornell, Yoon Ha Lee, C. S. Friedman, Ken Liu, Gene Wolfe, Aliette de Bodard, and Bruce Sterling. Once again, the finest short-form SF offerings of the year have been collected in a single volume.